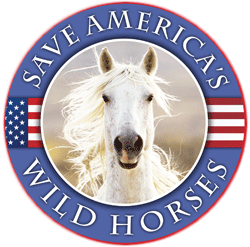 Recent news releases indicate that the Oregon BLM office has postponed it’s plan to harass and breakup wild horse families in the “Three Fingers” area due to a wild fire dubbed the “Cherry Road Fire”. The ‘fresh’ mares captured from the postponed helicopter roundup were to be transferred to the BLM’s holding facility in Hines where they would be subject to grotesque, non-sterile and antiquated spaying experiments overseen by Oregon State University. “Now that even more of the forage has been burned completely, that will likely necessitate more horses bring gathered, though at this point we can’t say for sure,” said Moore. 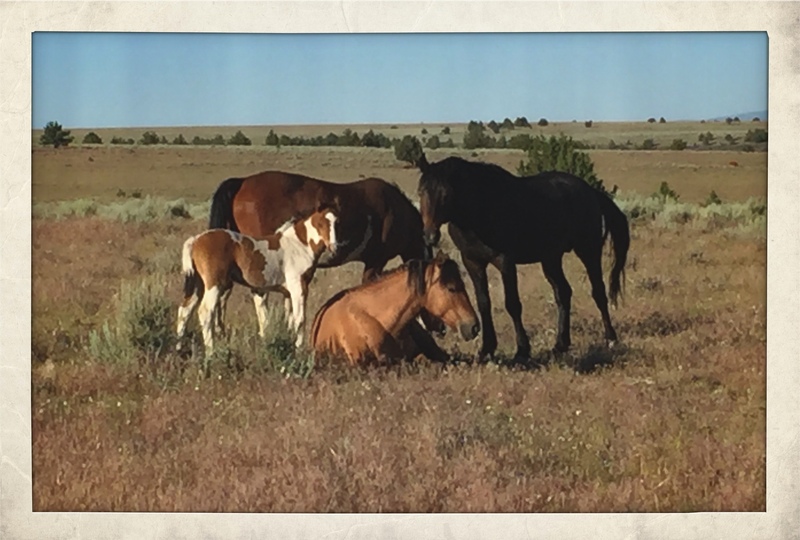 No indication was given as to the status of private livestock that are allowed to graze upon the Congressionally designated wild horse’s forage at federally subsidized rates. Yeah? Well I don’t remember the BLM office in the Pryor Mountains conducting a roundup a few months after their last wildfire. What kind of excuse is that? I want photo evidence of the “forage destruction” before they even consider another removal. I want TO KNOW WHO LIT THE FIRE. We All know by now that these fires are deliberate. Its obvious. Odd, the amount of random, out of nowhere fires that are popping up. Odder still, that the burnt area’s are alledgedly being re-seeded in a cattle pasture mix and not native grasses…. I hate that name they gave the pack – all I can picture is ranchers swearing about wolves! I’m sorry, but these ‘advocates’ keep compromising, and this one rancher never compromises. I do believe it is the same rancher every time. I also don’t think he feels he has to take any proactive, especially the non-lethal kind, of actions to protect his cattle. They lose cattle for so many other reasons, and in much larger numbers, it is disingenuous to take it out on the nearest pack of wolves, and I also have to wonder if they get paid for losses that aren’t related to wolf predation while making fraudulent claims that they are. It doesn’t seem like a lot of cattle lost, and it is the cost of doing business for this type of business. Yes. They do get compensated by insurance. I don’t know the particulars of the forages in this area, but is is well known that grass fires produce a rapid flush of grasses soon after. This is exactly the type of forage horses prefer when it is availalble. Any arguments for removals based on presumed reduction in forage should be subjected to a lot of scrutiny. So, imho, this is just another lame excuse to get rid of more of those “pasture roaches that are worth nothin (save in a slaughter truck of course)” as they call them. So for BLM it is kinda every cloud has a silver lining. True enough, Daniel, but Oregon is high desert, not prairie. My point was more to counter the statement made that the BLM was considering moving more horses out due to loss of forage from fires. If the area is mostly shrubby, that would carry some weight, but if mostly desert grasslands, the soil available nitrogen flush after a fire does create a temporary burst of vegetative growth which might in fact increase available forage for wild horses (among other species). So it seems to me that BLM is being opportunistic and removing more wild horses than necessary taking advantage of this human-lit fire. A “every clould has a silver lining” kind of approach. I would like the DOI to undertake a study on the relationship between wild horses, invasive grasses like “cheatgrass”, and wildfires, especially in the Western United States. Also, I would like the reports and conclusions of the study to be made available on the DOI website. I have submitted a number of ideas and comments regarding wild horses on our public lands. One of the issues that frequently come up in wild horse discussion groups is the invasive plant commonly called “cheatgrass”. As I understand it, this grass is extremely opportunistic. It grows in the early spring and then dies, providing dried ground fuel that helps spread wildfires. There have been observations that wild horses feed on cheatgrass when it first emerges, before seed heads have a chance to develop and disperse. There have been professional firefighters who consider the absence of wild horses on areas where cheatgrass has taken hold actually increases wildfire danger. I think this type of study could provide important information on mitigating the available fuels that contribute to the dangerous and destructive wildfires that ravage our lands, and might find our wild horses are more than icons of the West. They may be a natural, widely available, and economical fire brigade. We have been able to reduce and almost eradicate the cheatgrass in our pasture by grazing the horses(10)and a small herd of goats (9),part-time, in the early spring to keep it from going to seed. They love it when it is green and tender and seem to prefer it so it gives the other grasses a chance to come on. We are in our 5th year of re-habilitating a severely overgrazed dryland pasture. We do not irrigate because there is no water with the land. They graze together and our pasture has never looked better. Yes! Silence on this, and it seems like a good solution. Oregon State U should be ashamed to have their name associated with such a grotesque undertaking. Maybe we should write them a letter!? Listen to this welfare rancher cry about his loss of money because of the Cherry Road fire … and yet the MacKenzie family in this area has taken about $241-thousand of OUR money from you and me through federal farm subsidies and this guy alone has received $146,738.32 between 1995-2014. And this in addition to his almost-free grazing of his non-native destructive domestic livestock on MY land. I am sick of having my public land managed like a private livestock feed lot. If these people can’t manage their own livestock on their own land and make enough money to support themselves in the manner that they want then it proves they are not good managers. What can be done to address the problems associated with public lands livestock grazing? There is a simple answer: end it. Get the cows and sheep off, let the wild creatures reclaim their native habitat, and send the ranchers a bill for the cost of restoration. You just pointed out what I told other times about agriculture being comparatively a low value-added activity, e.g. 1,000 sausages aren’t by far as worth as 1,000 laptops. In other words, if they wanted to earn lots of money,they should be dedicating to other activities, but that won’t happen as long as those direct and indirect subsidies stay in place. Have you seen this? It is not current but we know it is similar today. For example – look at the High Rock HMA where 124 total horses had 232 (surviving!) foals in one year. That’s a 187% increase. Absolutely biologically IMPOSSIBLE! And it is these kind of continual lies that BLM feeds congress in order to get funding for more captures. And these lies continue today. Anyone that has ever tried to balance their checkbook knows that if you continue to take out more from your account than what you put in (increase) then it won’t be long before you have a negative balance. THAT is what BLM has been doing for a long long time and it won’t be long before there are no genetically healthy wild horse and burro herds left in America. Baloney!!! Can one believe anything that they say? And we keep paying and paying for their mismanagement of the Wild Horses and Burros. Dismantle this redneck mafia group out there. We need a new Secretary of the Interior and not Ken Salazar. When the new person comes in we need to put up some names and push for them! This is way more than experimentation when we know there are much safer ways to sterilize a horse without these invasive methods. These surgeries will leave the horse in pain and can certainly cause the horse to die! How awful! University of Oregon – what is wrong with you!!? RENO, NV It’s a crime that shocked the community and led to death threats for the defendant and his attorney. Thursday October 1, 2015, 25-year-old Jason Brown was sentenced to 28 years in prison for the torture and killing of seven dogs in 2014. Brown entered the courtroom Thursday with a bullet-proof vest and shackled arms and legs. There were plenty of sheriff’s deputies on hand. For those who thought this was overkill, consider the courtroom was full, and there was no way of telling who was sitting in the audience. The above comment was supposed to be posted under the previous article, but it’s applicable to this article as well. ALL of the wrongs that have been and are being perpetrated upon our Wild Horses & Burros are nothing more than government sanctioned/tax payer funded Animal Cruelty.